Aquatica Orlando, in conjunction with the International Board of Credentialing and Continuing Education Standards (IBCCES), announced the completion of a staff-wide autism sensitivity and awareness training as well as an onsite review of the park property and guest experience. The completion designates Aquatica Orlando as a Certified Autism Center (CAC) as distinguished by IBCCES — the first water park in the world to receive such a distinction. This accreditation follows sister park Sesame Place, which became the world’s first certified autism centre theme park last April. For almost 20 years, IBCCES has been the industry leader in autism training for licensed healthcare professionals and educators around the globe. IBCCES recognised that many families with children who have special needs have limited travel options, and in response, created training and certification programs specifically for the hospitality and travel industry. As a Certified Autism Center, Aquatica Orlando is required to provide ongoing training to ensure that team members have the requisite knowledge, skills, temperament and expertise to interact with all families and children with special needs, specifically on the autism spectrum. Training takes place in the areas of sensory awareness, environment, communication, motor and social skills, program development, and emotional awareness as well as a comprehensive autism competency exam. The autism training must be taken every two years in order to maintain the certification. "We know that training and certification is the best way for organisations to ensure they can accommodate all families,” explained Myron Pincomb, IBCCES Board Chairman. “IBCCES is proud to work with Aquatica Orlando and other leaders in the industry to increase the availability of certified options and help individuals have a safe and enriching experience when travelling or visiting a new place. With the rise in diagnosis rates of cognitive disorders, there is a huge need for these options and for organisations to make a long-lasting commitment to their guests." 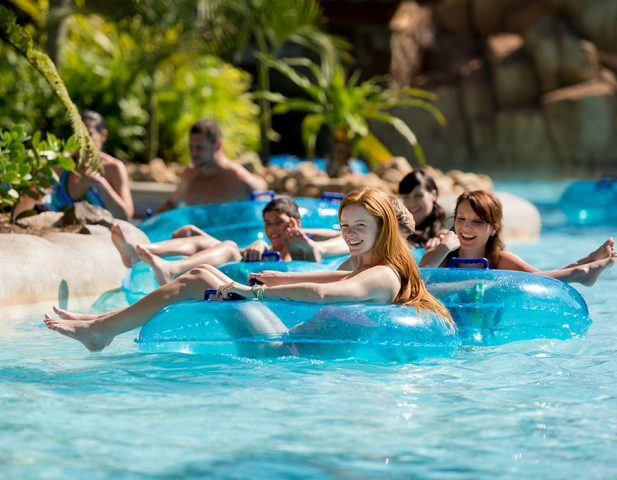 Aquatica Orlando has been voted the nation’s top water park, and this certification comes as the park readies for the opening of its newest attraction - KareKare Curl - this spring.